I love getting away into the backcountry and deep into nature for a bit of communion with nature — and I also love taking along my camera so I can photograph some of the incredible nature that surrounds me. Problem is, if you’re going into the woods for a few days on end, it can be tough to keep all your electronics charged during that time. 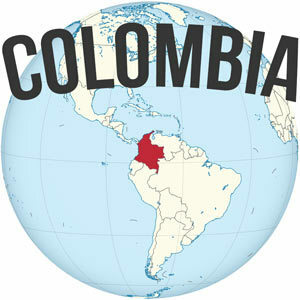 – Cellphone – which serves for GPS maps, reading, photography, music, and more. 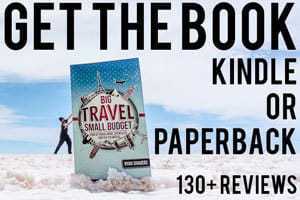 – Amazon Kindle on occasion, if it’s more a relaxed trip. If you couple that with a hiking partner, you’ve got double the gadgets to charge. 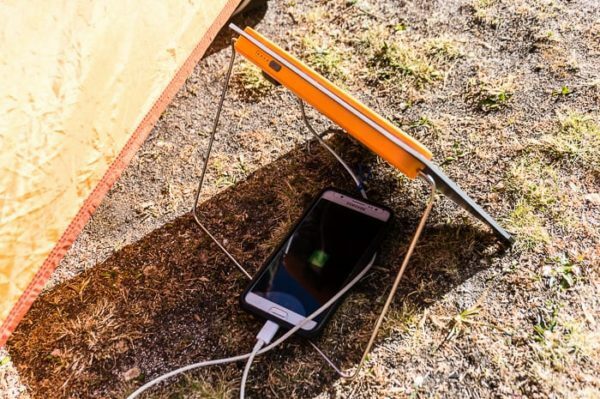 Solar panels are becoming more portable and lightweight than ever, and make for a compelling addition to the packing list, if you’re trying to stay charged. I’ve had my hands on the BioLite SolarPanel 5+ for well over a year now, and have found it to be a welcome addition to my pack when I’m heading out on the trail, particularly in the alpine where I’m likely to receive a lot of sun. 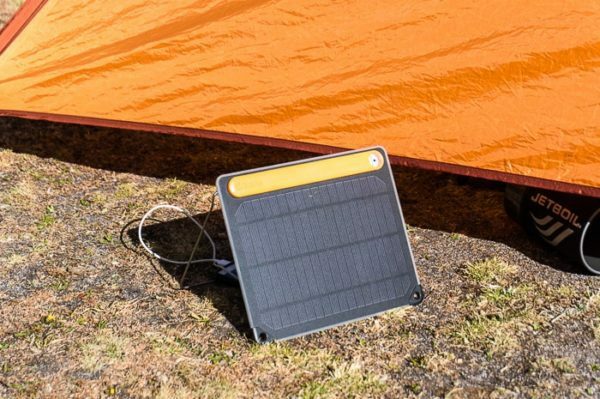 The BioLite SolarPanel 5+ features a small and rigid 5-watt panel (5 watts per hour in peak sun), and features a built-in 2200 mAh battery (approximately one full phone charge), meaning you can charge the device throughout the day and then plug-in your phone after dark. The panel features a built in sun dial which helps you best align the panel to receive the sun’s rays (just align the shadow of the dot between the crosshairs) and it also features a kick-stand that fully rotates, helping you align it properly on uneven terrain. In total the SolarPanel 5+ weighs less than a pound, at only 14 oz, a modest addition to the pack. All the tech mumbo-jumbo aside, what I really like is that the device simply works. I put the panel in the sun, adjust the angle a little bit to get the sundial placed correctly and my devices charge. It is surprisingly thin, so it slips into an already stuffed pack, and even though every ounce counts when it’s on your back, I appreciate how light and portable it is. 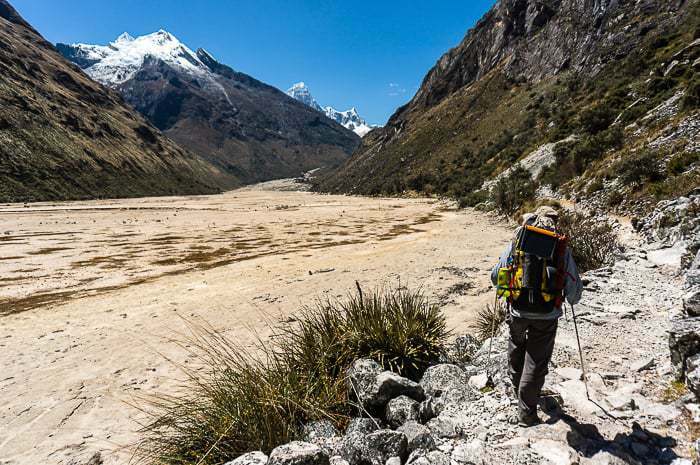 Most recently Andrea and I did the Santa Cruz Trek in Peru’s Cordillera Blanca, spending five days and four nights camping. Between the two of us we had two cellphones, two cameras, and the SteriPen for water treatment — and we were able to keep everything charged up during the trip. I never even switched out for my second camera battery (which was fully charged and socked away). I used my cellphone heavily throughout the trek, taking tons of photos, using it to record our GPS track, and even watching various episodes of Dexter in the chilly evenings. One night I forgot to charge my phone with the BioLite’s built-in battery and woke up the next morning to a 10% battery. I placed the SolarPanel 5+ on the roof of my tent and plugged in my phone as we made breakfast and went about our morning routine. As we packed up, I moved the panel to the ground so it could continue to charge, and by the time we were ready to leave almost two hours later, my phone had charged up to 70% — plenty enough for the day’s adventures ahead. 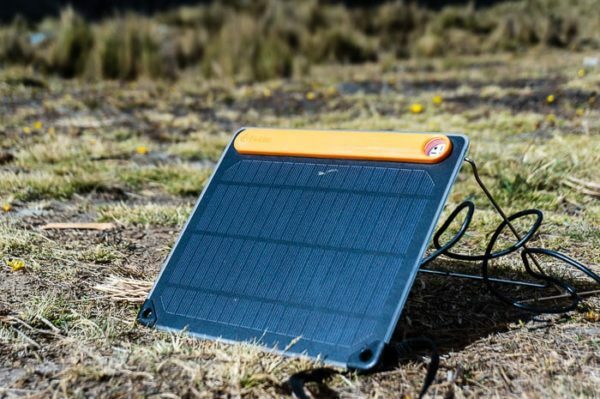 Thus far, the BioLite SolarPanel 5+ has proved to be reliable. There really isn’t much that I can think of in terms of not liking it. If I had to nitpick, I wish the holes along the panel edge were a bit bigger, that way I could more easily strap it to the outside of my pack. But I found it was easy enough to open the kickstand, loop that over the top of my pack, then run a strap around the body of the panel to hold it in place. 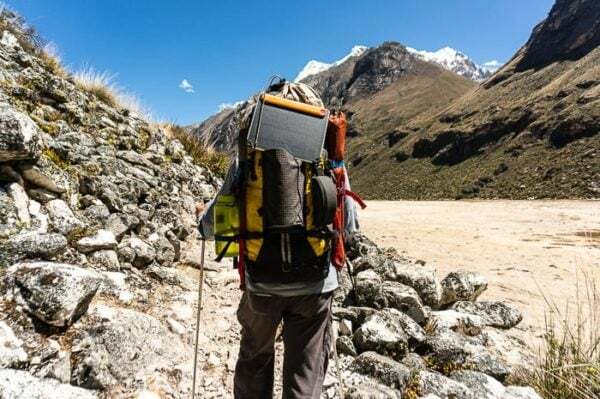 If you’re someone who loves and relies on your electronics, even while out on the trail, this solar panel is a perfect fit, particularly if you mostly hike in sunny, open terrain. I mean, it doesn’t make much sense if you’re going to be spending most of your time under the thick cover of the forest. 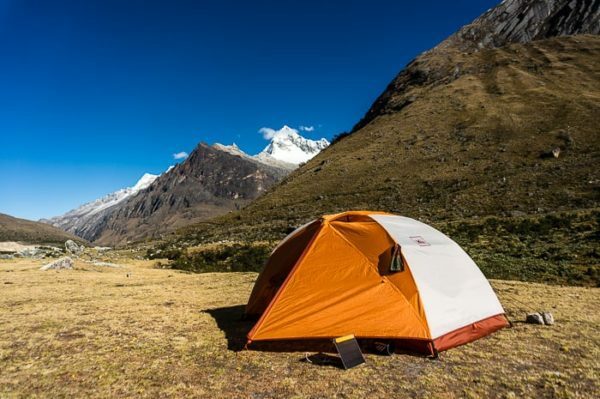 You can usually make do with a full charge on your electronics if you’re only going out an overnighter, but if it will be two or more nights, you’ll need to start looking at other ways to keep your devices charged through the duration of the trip. A solar panel is a great choice, and is actually lighter than my portable battery pack. 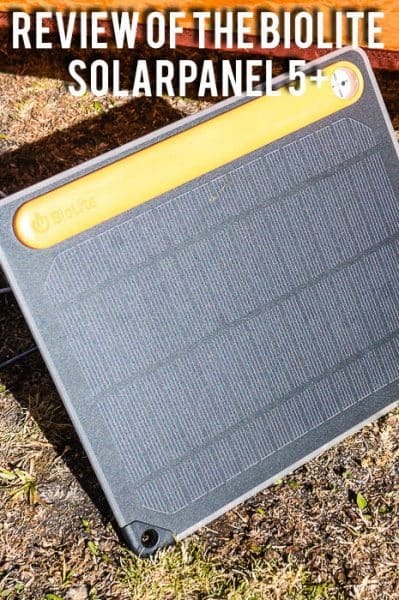 At only $80 retail, the BioLite SolarPanel 5+ is also quite affordable. 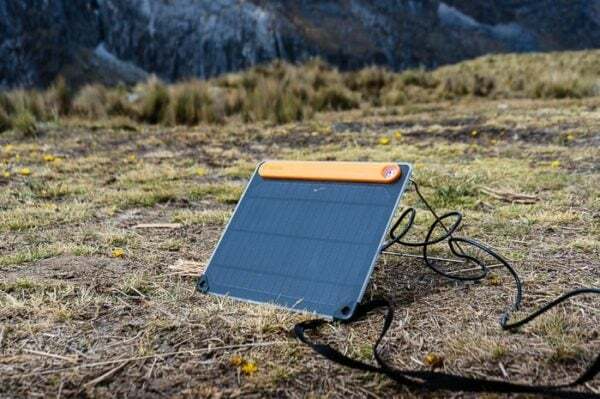 If you’ve been considering adding a solar panel to your backpacking or hiking kit, I’d strongly recommend taking a look at the BioLite SolarPanel 5+. I’ve owned a couple portable solar panels, but this is easily the most portable, reliable, and effective panel that I’ve gotten my hands on. Thanks for sharing, this does look like a pretty good alternative to the Goal Zero. Hello Ryan, I love this post. This information is useful for us. I have been looking for something like this. I also used solar panal and want to know more benefits. Thanks for sharing this informative blog with us. 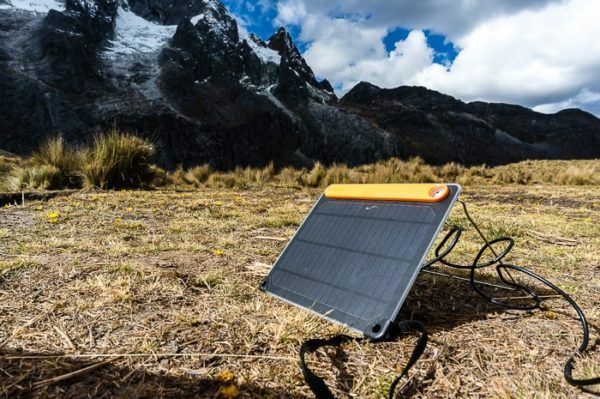 Is the BioLite SolarPanel 5+ available nationwide? Been looking for quite some time now for solar panels that are easy to carry whenever I hike. Nice review by the way! I wish I had one so I got no worries every time I hike. Thanks for sharing this! 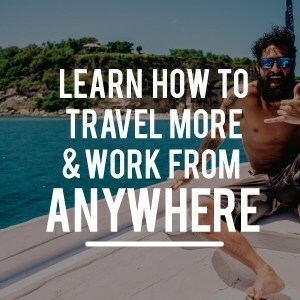 Keep up the great work and safe travel always! 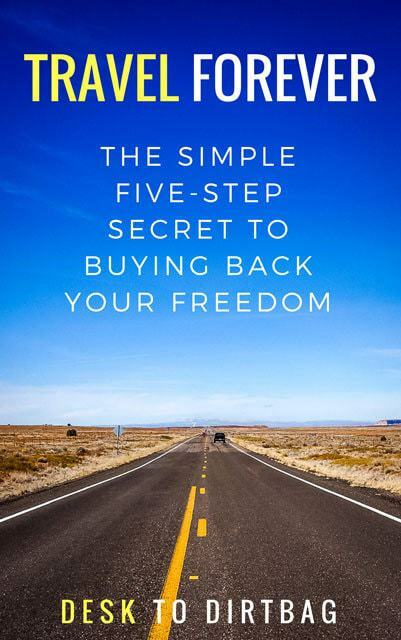 Yeah, it should be available nationwide from either Amazon or REI (either in their stores or online). It’s awesome to have a little solar panel on the trail, for sure! Thank you!!! Will definitely look it up and buy one. Safe travel always Ryan! I’ve been looking for something like this. I like how you place it on the back of your pack. Awesome for camping.